Phase two of the telescope and mount installation for Sacred Heart School's observatory in Kingston, MA is now complete. This past week Insight Observatory staff members Harry Hammond and Michael Petrasko completed the tasks of balancing and polar aligning the telescope, as well as configuring the Losmandy Gemini 2 GOTO system that controls the Losmandy G11 equatorial mount. After many attempts at planning phase 2 have failed due to the unstable weather conditions during this New England summer, there was finally a nice cool front that pushed through allowing good seeing conditions to align the telescope with the north celestial pole and achieve first light through the Celestron 11 Schmidt-Cassegrain telescope that was physically installed a few months ago. Hammond configuring Gemini 2 GOTO system. 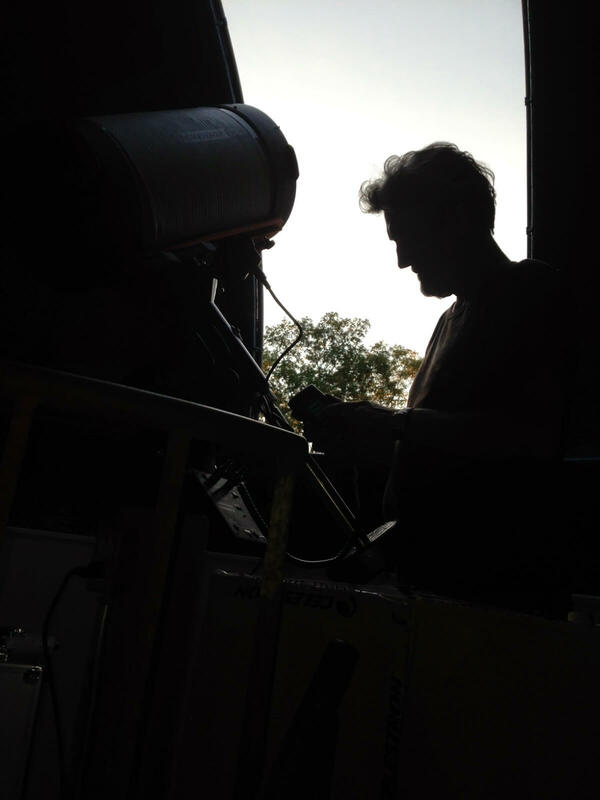 While taking advantage of daylight in the early part of the evening, the IO staff used the opportunity to balance the telescope with the additional counterweight needed to offset the weight of the 2" eyepiece that was provided with the telescope by the manufacturer. 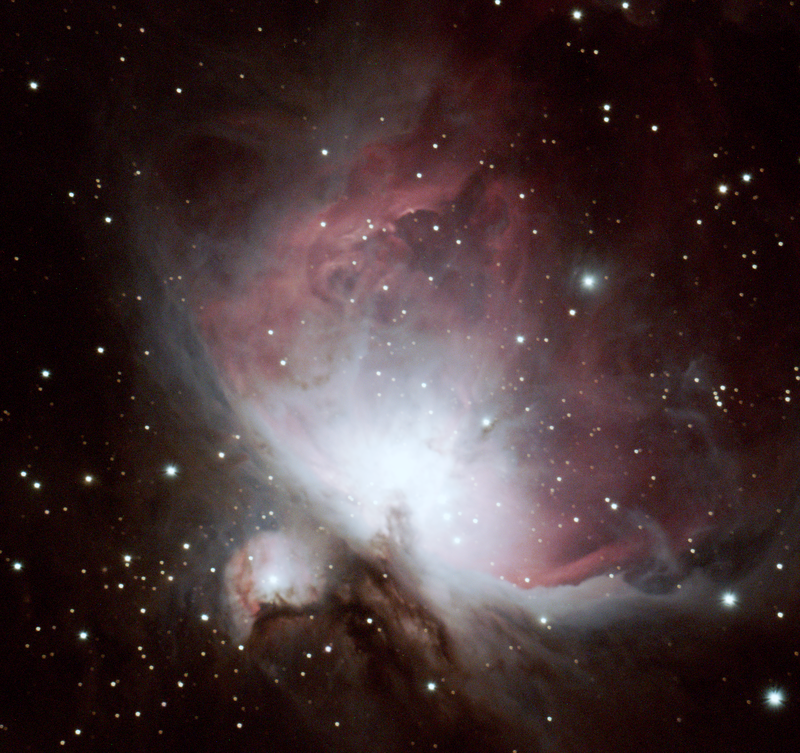 Once the telescope was perfectly balanced, the sky started to darken so they could then polar align the telescope. Once Polaris (the North Star) was visible, they were successful with the polar alignment. 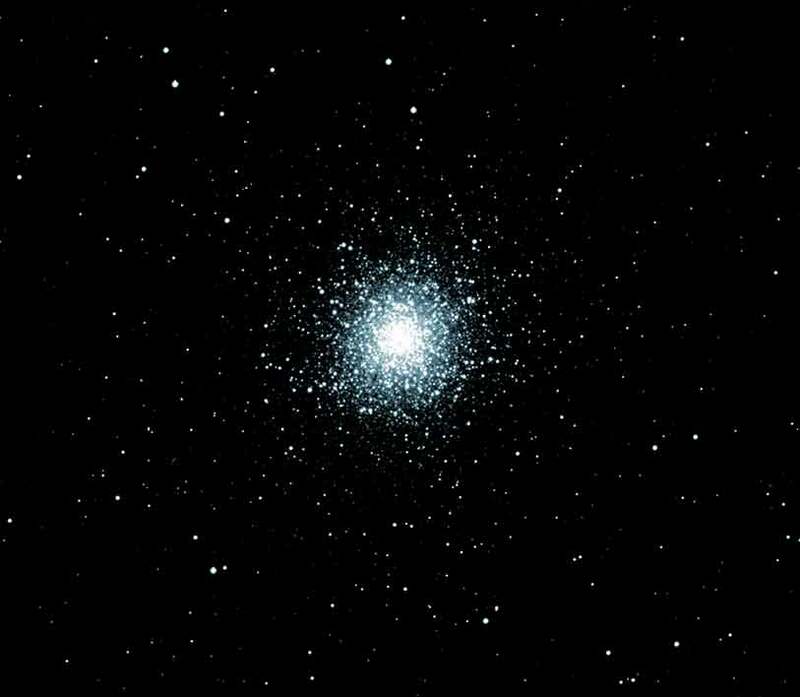 First light with the new telescope was the red star Arcturus in the constellation of Bootes. It was confirmed that the polar alignment was accurate by viewing Arcturus in the eyepiece over a time period of about five minutes. The star never drifted out of view as the tracking was perfect. The next and final step was configuring the Gemini 2 GOTO system that would allow observers to slew the telescope to any astronomical object in the system's database of thousands of deep-sky objects. 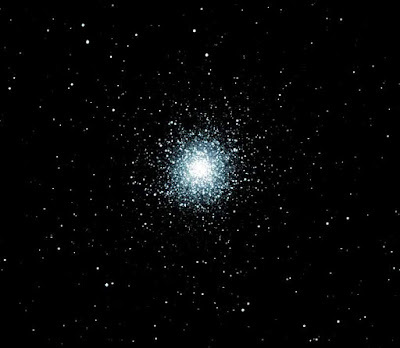 Once the Gemini 2 was configured with the latitude and longitude of the observatory's location and other required information, the IO staff's first GOTO deep-sky target was to be M13, the great globular cluster in the constellation of Hercules. Once the target was entered into the LCD hand controller, the telescope slewed its way directly to the open cluster. The view of this celestial object was amazing! The stars across the plane of the cluster resolved nicely and as Harry commented, the object was "Very defined." 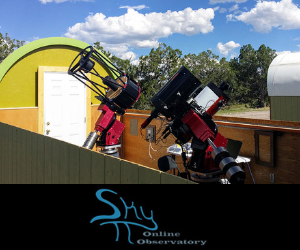 The Sacred Heart Observatory is now ready for hands-on observational astronomy education. This new contemporary telescope and the mounting system should provide students with an awe-inspiring portal to the universe.